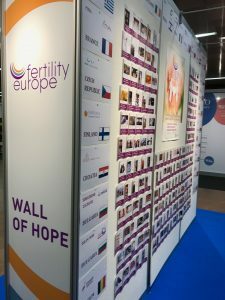 Our Wall of Hope, which is displayed at the annual ESHRE congres, shows what Fertility Europe is all about. 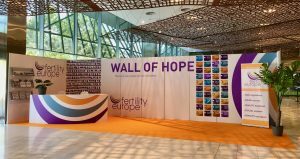 The Wall of Hope on #ESHRE2018 was displayed again this year in the main entrance hall of the CCIB – Centre de Convencions Internacional de Barcelona. It displayed our #40reasons campaign as well as different stories from different countries on our postcards. 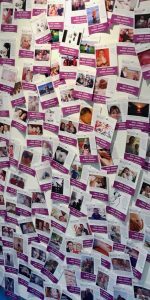 Real stories of people who are having (or had) fertility issues. It is so nice to see many congress visitors asking to be photographed with the Wall of Hope.